Thought I would share an experience using OptionRally South Africa platform to trade binary options. Unlike our usual broker reviews. There is a reason you wont find a link on this blog for them , and that’s cause we don’t recommend this broker. Yes, they are registered with IFSC (Belize), they have been around for a while and use spot option platform for their trading software. Some websites do recommend them. Hence we decided to test them out. All in all they were a poor binary options broker, the platform wasn’t so okay for me and customer service was poor after initial deposit. Firstly after filling in my details on the online form I was inundated with calls to make that initial deposit. Further to that they blocked my account few days later. I admit i should have sent KYC documents earlier. But can you blame me for been hesitant? Even after submitting the documents it took ages for someone to help me. After many e-mails it eventually was unblocked few days later. However I never got a response or anything from them via e-mail. Delays in getting monies withdrawn. Makes promises they will never keep. They Brokers pressure you with calls and to deposit more. Few days now that I noticed a lot of my trades ended OTM due to the extended validation time once expired, running until the price puts me OTM even though I was ITM when the validation started, it has happened on many occasions especially in the short term trades doesn’t happen all the time , but too often for me. Even when opening a trade validation takes long and your entry on position is like two to three pips difference from where you actually wanted to enter.In short term that’s a disaster. They also close pairs at important times (news releases) and change expiry times for binary trading which I hate(usually its in 15 min intervals up to a few hours, suddenly the next expiration is only 4 to 8 hours ahead). Too much manipulation for me …. So with that been said, Its up to you as a trader on where you would like to invest your money just hope that this blog helps you make the right decision. Try the recommended binary options brokers rather, IQ option has a free demo in which you can practice and learn what this is all about.They also have a $10 deposit live account. 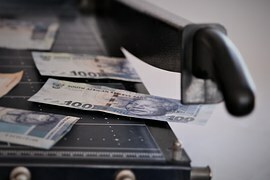 Check out this article from Forex Peace Army (look at the comments especially). We wont go so deep as to say they are a scam or such. But very much distrusted due to the so called Account managers tactics. To add to that distrust last year September they were issued with a large fine from Cysec. Click here for PDF on Cysec fine. Even more alarming is very recently Canadian and Japanese regulation boards have added them to a blacklist. Read more Canadian regulator OSC warns against option rally. You decide. So if any of you have had a similar experience with them or other brokers kindly comment and share. Remember our main goal is to share info here. 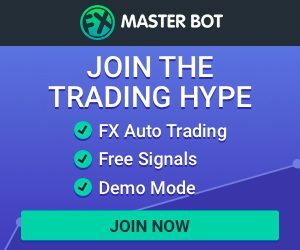 Making traders more aware and successful. Not just in Trading but in the whole experience involved when one decides to start trading.